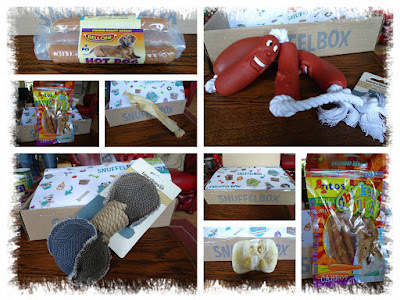 Yay the Snuffelbox arived today!! And ofcoarse the dogs where so exited, and me too ofcoarse. So what is inside it this time. A supercool toy with saucages Star loves it, it's hers. a Pigsnout, Star and Lucky shared it and eaten it already. a package with 3 hotdogs! 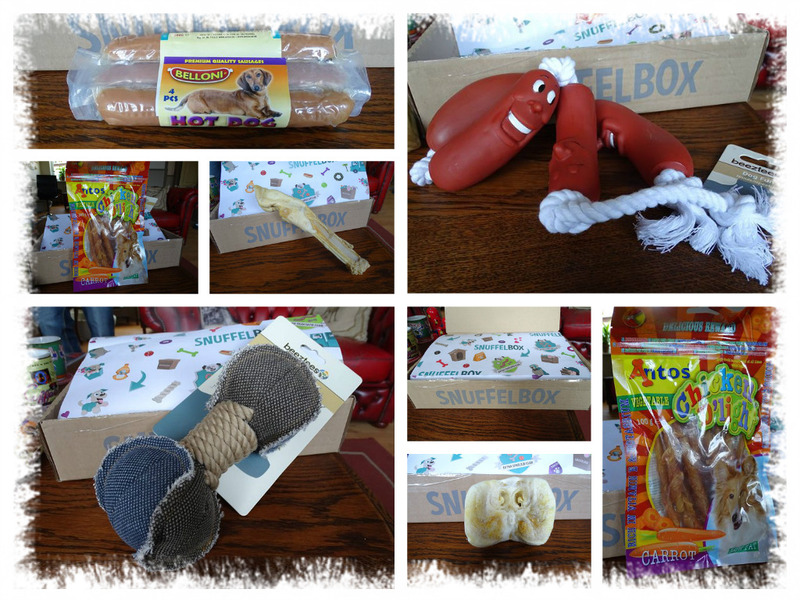 I'm very happy with this box, the toys look very sturdy, and the treats are chosen great.